small: wd- 3.13" x ht- 4.21" regular: wd- 3.39" x ht- 4.52"
We all love the Fairy Tale of Little Red Riding Hood and the wolf. This would make a cute quitl along with the other Fairy Tale characters. 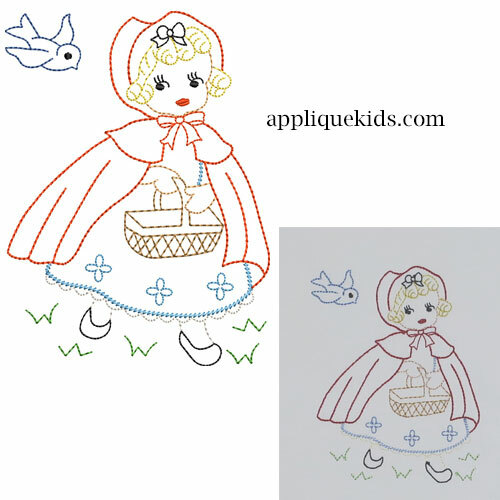 Stitches quickly, as it is an outline design. It would be sweet on a bodice or bib on a pinafore!